Complete confusion reigns about what precisely is being recorded: "energy", "vibrations", "electromagnetic radiation", "ultrasound", "infrasound", "radio frequency ultrasound" (sic) (fr), anything and everything, often without anyone knowing whether they are taking readings of mechanical waves, electromagnetic waves, or undefined forms of energy of an even more "enigmatic" nature. Of course, none of these readings has been published, not even as a paper on the Foundation website; the Foundation’s "scientific" communications are reduced to videos posted on its website and on YouTube. But the purpose behind these initiatives was that of coming up with something extraordinary that would spice up the exceptionally disappointing results of the archaeological "excavations": mysterious energies and buried antediluvian machinery have far more going for them than the endless "slabs" and other paved areas presented by the Foundation over the past seven years. In this business of getting his hypotheses "validated by vibrations”, Mr. Osmanagic found a valuable ally (even if a sometimes reluctant one) in the person of Professor Paolo Debertolis (see http://eclisseforum.wordpress.com/2012/10/11/piramidi-in-bosnia-linchiesta-di-eclisseforum-it-i-protagonisti-paolo-debertolis/) and his group, the SBRG. 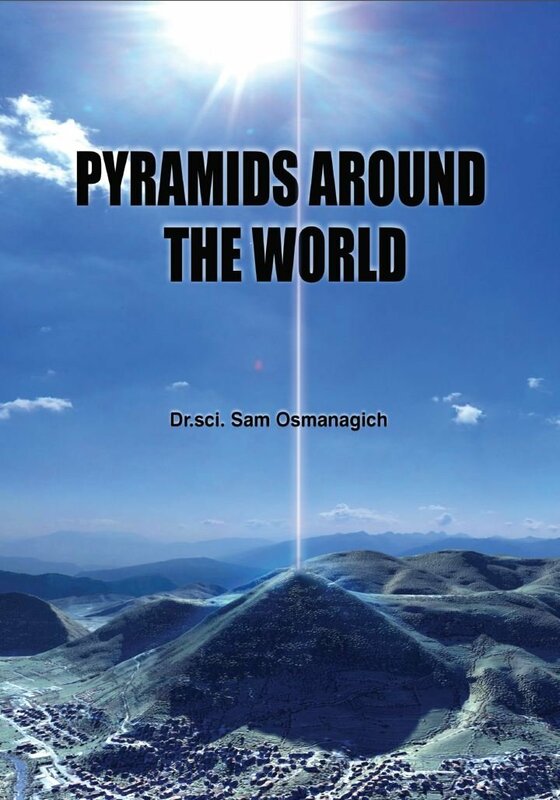 Professor Debertolis began taking an interest in Visoko and the "pyramids" at the end of 2010, and this initial interest has not wavered since that time, although relations with Mr. Osmanagic and the Foundation have not always been easy. As against that, this interest has been successively focused on several very different objects, not always with any detectable logic other than the desire to continue at all costs with an involvement with the area of Visoko, despite the succession of failures and disappointments experienced by the group. At first, Professor Debertolis seemed to have completely adopted Mr. Osmanagic’s theories in their entirety: artificial pyramids, the Ravne tunnels being constructed of concrete rather than dug through natural conglomerate, gigantic ceramic megaliths containing metallic objects ... This first period came to an end, however, when a member of his own group, the geologist Emanuela Nunzia Croce, presented him with the results of her analyses, both of the "ceramic" megaliths in the Ravne tunnel and of the "concrete" forming the walls of the tunnels; and of the slopes of Visocica. These analyses are indisputable: the results are neither ceramic nor concrete, but completely natural sandstone and conglomerate . I regret that I am obliged to make you aware of certain decisions. We are unable to enter into any project with the gentlemen who came here to the Museum with you. In fact, one of our regular Scientific Committee meetings has just taken place, during which proposals for new projects were discussed. Unfortunately, the television programme came at the worst possible time. Your colleagues discussed the "pyramids" in very positive terms, their great importance, the excellent results obtained, ancient civilizations, the identities of the members of this research group - thus effectively writing themselves off as serious partners with whom we could and should undertake any serious cooperation. I can confidently state that, as regards you personally, we are still available to offer assistance on any question and at any level. I certainly would not like to be in your shoes when you come to explain the contents of this letter to your colleagues. Since this debâcle, at any rate, Professor Debertolis, incensed at all Bosnian archaeologists, has (under the pseudonym "Pablito") been posting accusations against them on a wide variety of forums. For example, he accuses the team responsible for the restoration of the fortress of Visoki of falsification, of knowingly altering the appearance of the fortress to hide its supposedly religious role (of which more below); he accuses (it) members of the Commission for the Protection of National Monuments of being in the pay of the Turkish Islamists, and to have forbidden Debertolis to study human remains dating from the sixteenth and early seventeenth centuries (hence, the era of Ottoman Bosnia) found in a necropolis containing stecci, because its discovery would "raise questions about the purity of Muslim faith" in Bosnia at that time . What Professor Debertolis has forgotten to explain, as this post from an archaeologist working in Bosnia makes clear, is that he, Debertolis, did not have the necessary permission even to exhume human remains, let alone send them abroad for dating, and it is this fact, rather than a supposed archaeological plot against Professor Debertolis and his research group, that led to the Commission reacting in the way that it did. However, after the failure of his attempt at collaboration with the National Museum in Sarajevo, Professor Debertolis fell back on the third of his interests. With no more specialised skills or knowledge than for the subjects with which he was previously involved , he reinvented himself as an archaeoacoustician. Archaeoacoustics – and we should here draw a distinction between archaeoacoustics, and musico-ethnology or the archeology of music - is a relatively recent discipline located at the crossroads of several scientific disciplines. It is concerned with the study of the properties of sounds at archaeological sites, or of archaeological artifacts. One of the principal difficulties of the discipline is to establish the intentions of those responsible for construction or manufacture. We can identify the acoustic properties of a site or an artifact, but it is usually very difficult to determine whether these properties are the result of purpose, or of chance - many caves for example, have very specific acoustic properties, without human beings having anything to do with this. 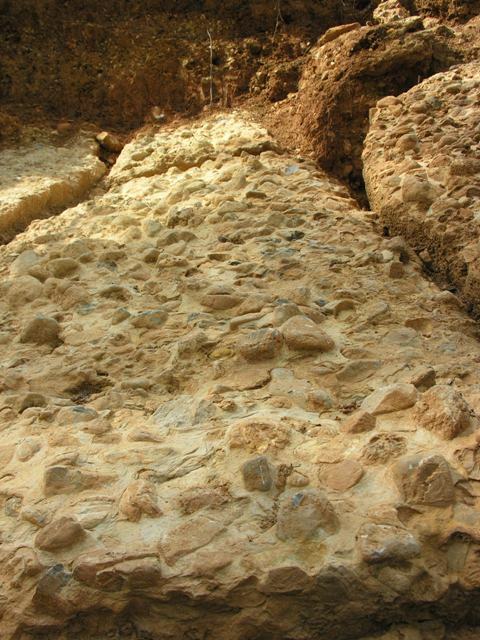 This is an area where one runs up against the best and the worst; for example, there are interesting lithoacoustics studies (the acoustics of lithic objects, here mainly flint), or the use of "acoustic pots" (fr) in medieval churches. We may also mention, for example, even if he is considered by some as a controversial author, Paul Devereux and his work at Avebury, which is relatively conservative in its conclusions. But, like archaeoastronomy, archaeoacoustics has also resulted in many diverging paths, not to say ill-advised interpretations, and has become linked with various New Age ideas. For more than two years now, therefore, Professor Debertolis and the SBRG have been taking an increasing number of measurements and recordings, especially on Visocica and in the Ravne tunnel; and then, from 2012, from various Italian and British sites. These experiments and recordings relate to the audible range, but also, and especially, to frequencies inaudible to the human ear, from ultrasound and infrasound frequencies. The problem posed by this approach, assuming that the sites studied had been designed with a view to producing or concentrating these inaudible frequencies, is the ability of prehistoric men to perceive these frequencies, as pointed out by (it) a participant in the Italian forum Ostraka in a thread dedicated to Professor Debertolis’ archaeoacoustics research. In the same thread, a question (it) was also asked about the origin of these frequencies; Professor Debertolis sometimes claims that they were purposely and synthetically produced by the people who built the sites, and sometimes that the site constructors simply made use of natural emissions. 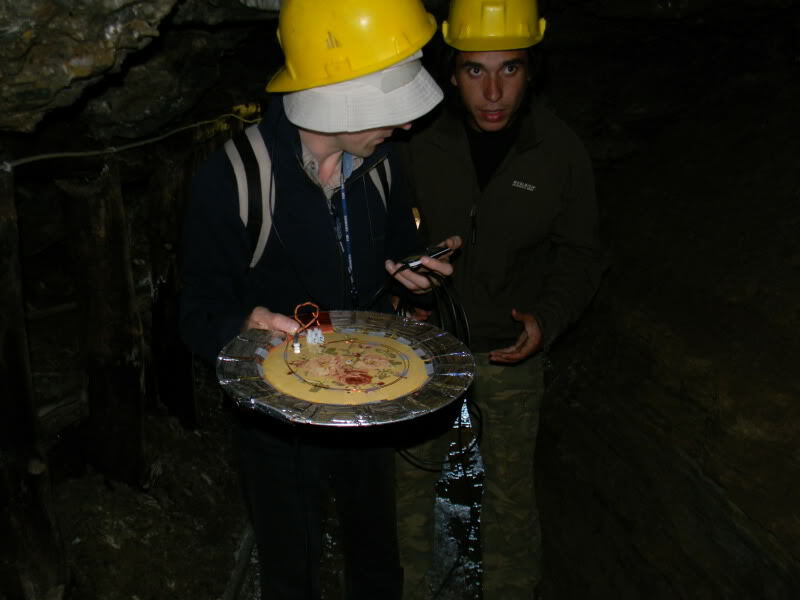 In a parallel development, the SBRG, recently joined by two physicists who, working on behalf of the Foundation, had conducted some of the readings mentioned in the beginning of this article, Slobodan Mizdrak and Davor Jadrijevic, also continued research into the field of electromagnetic emissions at the same sites. My purpose here is not to examine the SBRG’s archaeoacoustics research at Italian and English archaeological sites, studies that are still awaiting validation by publication in scientific journals. What interests me here is the part of the research connected with the Visoko area, of which some partial results were recently presented at two "virtual conferences" on the internet. I have described here my doubts about both non-specialized conferences, and the quality of "peer-review" by scientific committees that contain no archaeologists, although their reviews at least have the advantage of succinctness. The first paper, The phenomenon of resonance in the Labyrinth of Ravne (Bosnia-Herzegovina), is on the subject of research into resonance in the Ravne tunnels produced by singers. A good third of the four pages of the paper is devoted to a vague and unscientific definition of resonance ("resonance is the phenomenon in which an object absorbs energy, transforms it and makes it again in another form, but better" - sic), and earlier studies mentioned above, conducted at six English or Irish megalithic sites by the PEAR Group of Princeton University headed by Robert Jahn and Paul Devereux. Then there is a presentation about the Ravne tunnel and the equipment used for the experiments, the results occupying one paragraph: the team was able to identify a resonance at low frequencies around 71 Hz. It is stated in conclusion that this is a preliminary result that will require additional research. Nevertheless, this archaeological evidence seems more reminiscent of a relatively late mine, from the modern rather than the Neolithic era! And, to the best of my knowledge, nothing from the excavations conducted in the tunnel gives any indication that Ravne was used as a temple or as a place to conduct ceremonies. Professor Debertolis then announces the purpose of his research: "We wanted to find those sounds found in prehistoric and protohistoric ancient temples". It is therefore taken for granted that the tunnel had a religious function – once again, with no archaeological argument along these lines - and there are attempts to incorporate the phenomena observed at the English sites. Then follows another assumption: "The purpose of this research was to determine whether the morphology of the tunnel was a random excavation typical of a mine and therefore free from special acoustic phenomena such as resonance or their design was for another purpose such for ceremonies as found in Great Britain and Ireland". It is asserted, without argumentation, and without any first-hand evidence, that a mine containing "random" galleries is incapable of presenting particular acoustic phenomena, and that the presence of such acoustic phenomena therefore necessarily implies some conscious purpose on the part of the builders – and that this purpose, moreover, was part of some religious or mystical agenda. It is too quickly forgotten that many "random" areas, natural or otherwise (caves, mines ...) contain examples of very particular acoustic phenomena; we may note the example of Fingal’s Cave, or the work of Iégor Reznikoff and Michel Dauvois (fr), which suggest that prehistoric people made use of some of the natural acoustic properties of caves, locating their paintings in places demonstrating greater resonance. The conclusion of the article reiterates this idea: "Although only preliminary, the examination carried out shows it would appear difficult to achieve a similar sound in a structure whose path is just random as is typical of a mine." To the best of my knowledge, however, the SBRG has not carried out the same experiment in other mines, so this experiment shows nothing of the sort. So what we are dealing with in this paper is a typical piece of circular reasoning: it is assumed that the Ravne tunnel is a "temple" or ceremonial Neolithic site; sound resonance phenomena are noted as present in the tunnel; and from this phenomenon it is deduced that the tunnel is a "temple", built with the purpose of producing this resonance. We find the same reasoning in the second paper, Archaeoacoustics in ancient sites. The thesis of this article is that many "sacred" buildings were deliberately located in places where the occurrence of infrasound or ultrasound causes a "mystic state", and the circularity of reasoning is evident in the paragraph defining the approach to be followed: "From this assumption from 2010, we decided to begin researching these frequencies in “sacred” ancient and well known archeological sites. This study gave amazing results for a possible explanation as to why a particular site was considered sacred." The two "sacred" places studied in this article are, on the one hand, the Abbey of San Salvatore, near Monte Amiata in the province of Siena, for ultrasound; and on the other, the hill of Visocica, Mr. Osmanagic’s "Pyramid of the Sun", for infrasound. First strange point: only "infrasound and low frequencies" are mentioned in the part of the article about Visocica, whilst almost all the research and recordings carried out by the SBRG on this hill were devoted to ultrasound, the "voice of the pyramid" (see January 2011, February 2011, May 2011 (it), and then again in March 2012, and April 2012). 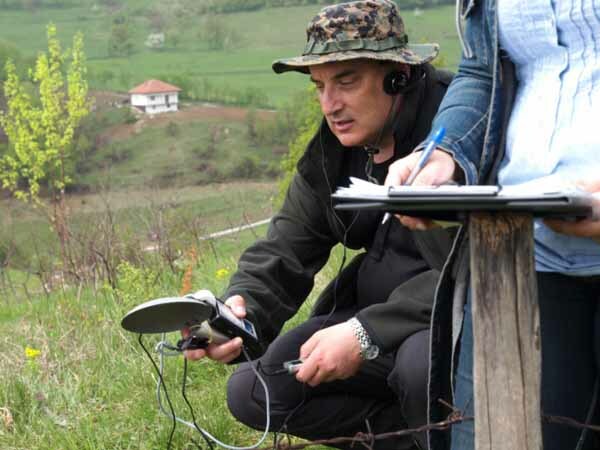 One solitary last-minute expedition in April 2013 (announced here (it) as a "secret mission" ...) was devoted to infrasound, recorded among the ruins of the fortress on Visocica and on an unspecified hill somewhere in the surrounding area. But it is this one very brief expedition, devoted to infrasound readings, that is used in the paper; strangely, the paper makes no mention of the "voice of the pyramid" and the ultrasound results obtained during the 2011-2012 expeditions. But that is not the main problem. The trouble really begins with the statement that the article contains the results of research into archaeoacoustics, and therefore presents Visocica as an "ancient" archaeological site, and also a "sacred" site: "The hypothesis of our research group is that in some archaeological sites considered sacred for thousands of years, there are measurable natural audio phenomena that make the place somewhat more mystical than others" or: "We observed that when we found a natural interesting phenomenon, the archaeological site was very ancient and important and had a church or temple present long before the arrival of medieval churches". 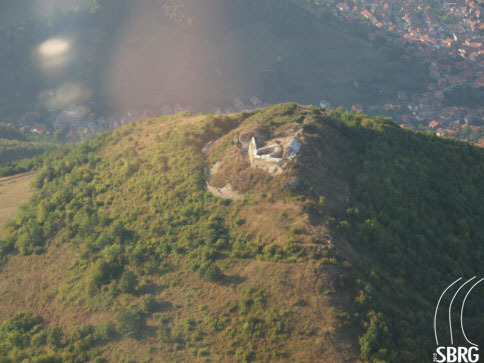 In the same article, the author also claims that the medieval buildings at the top of the hill of Visocica included not only a fortress, but also a monastery: "We found interesting archaeoacoustics effects [...] among ruins of medieval monastery/fortress on the top of the Visoćica Hill" and: "Visoki was a famous medieval royal castle town and monastery destroyed by the Ottomans during the fourteenth century. The first mention of the town was in 1355 by King Tvrtko I of Bosnia, but from ancient artifacts found in that location we can suppose that a settlement was present from very ancient times". I found this statement somewhat surprising, for, to the best of my knowledge, no historian has ever mentioned the presence of a monastery on Visocica. I tried to discuss this with Professor Debertolis on an Italian archeology forum, Ostraka, especially in the light of his statement on the same forum: "La cosiddetta Piramide del Sole è in realtà una collina naturale forse rimodellata a forma di piramide. Ma il luogo è considerato sacro da millenni" ("The so-called Pyramid of the Sun is actually a natural hill possibly reshaped in the form of a pyramid. But the place had been viewed as sacred for thousands of years"). So I asked him if he could provide some evidence or arguments for these assertions, that of the "remodelling" of the hill by human hands, and of the "sacredness" of the place. This was followed by a sometimes heated exchange on the Italian forum, which I’ll try to summarize. Professor Debertolis ("Pablito") begins by refusing to answer (it), and then resorts to unfounded personal attacks (it), forcing me to develop and refocus the debate on the central question: on what arguments, historical or archaeological, does he rely for his proposition that Visocica is an "ancient sacred site", arguments that would justify an archaeoacoustic study? The argument is somewhat specious: obviously the construction of the medieval fortress entailed some form of civil engineering work of the summit, but it seems to me there is a big difference between this medieval moat and the earlier statement by Professor Debertolis about "remodelled in the shape of a pyramid" ("rimodellata a forma di piramide"). But moving on ... We then come to the question of the age (it - en) of the oldest remains found on the hill. Professor Debertolis cites various finds (without context, in the absence of excavations on the site, which is protected) indicative of an occupation broadly prior to the mediaeval, which is not surprising in this region. As I mention here, most of the higher points in the area have been fortified in one way or another (such sites also often have "grad" as part of their name, like the summit of Visocica) from the Bronze Age or the Iron Age onwards, while the occupation of Visocica in the prehistory has already been pointed out by Bosnian prehistorians. finally, a number of extracts (it) from the official site of the Commission for the Preservation of National Monuments on the fortress of Visoki on Visocica. These extracts have been carefully reformulated in such a way that Professor Debertolis adamantly maintains that, according to the historian Pavao Andelic, the seat of the bishop of Bosnia was located on Visoki, and that Visoki was also the site that witnessed the coronations of the kings of Bosnia, thus confirming its spiritual and moral role, a role that belongs more properly to an abbey than to a fortress. 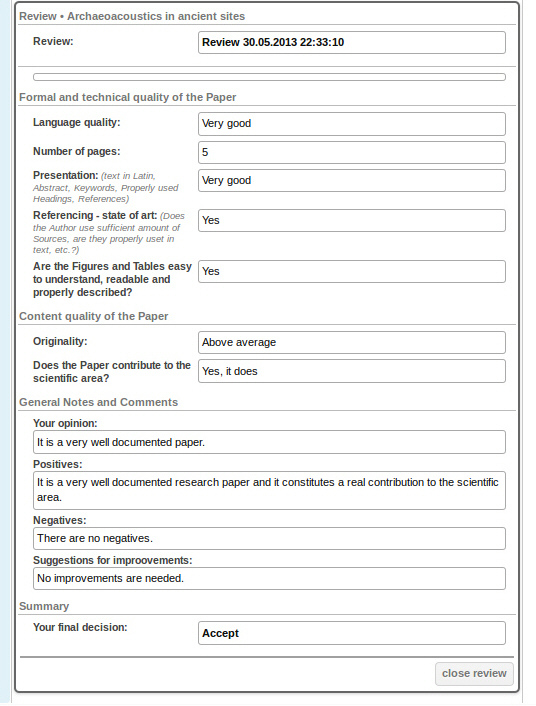 My reply to Debertolis’ post emphasises, on the one hand, the fragility of oral evidence from the local population, especially as, since 2005 and the advent of Semir Osmanagic at Visoko, what American sociologists sometimes term the "pizza effect" seems to have come into full play, leading many people to "remember" traditions, or to come up with variants of the inevitable legends attached to any medieval castle; and, on the other, the difficulty of accepting an anonymous source ("religious authority"). My principal concern, however, is to set the record straight about Debertolis’ interpretation of the text concerning Visoki on the Commission website, and I cite the original text: Pavao Andelic never said that the seat of the bishopric was located at Visoki, and nor did he say that the coronation of the kings of Bosnia took place there. 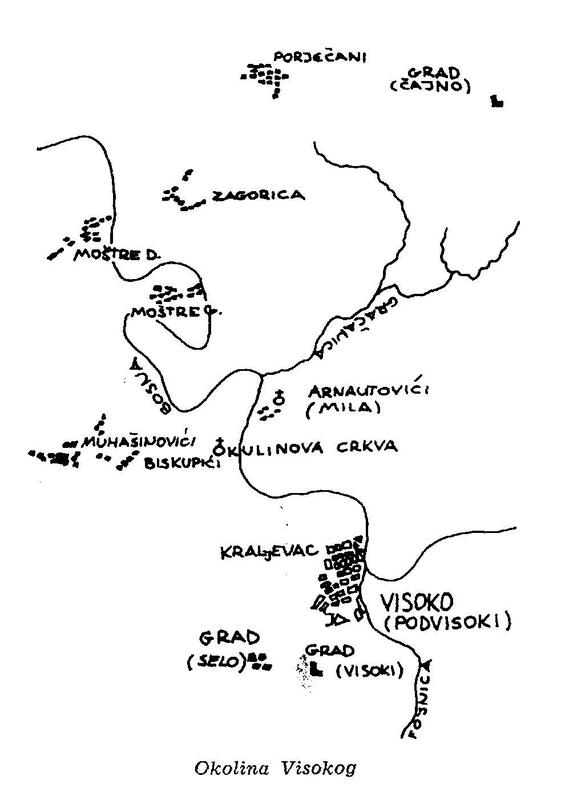 In his truncated quotations, Professor Debertolis relates Visoki to a series of elements affecting the whole of what medieval texts called "Bosna", that is to say, the small area extending across the valley of Visoko. The seat of the bishopric, according to Andelic, was "somewhere in the plain of Visoko", perhaps Mostre, which also was the site of the mediaeval University of "Bosna". The coronation of some of the kings of Bosnia took place in Mile (the present day Arnautovici). It is rather to Bosna as a whole - the localised region - and not to Visoki that Andelic assigns the function of "political, administrative, spiritual and cultural centre". He makes it clear that the fortress of Visoki had only a military and administrative role (it was the seat of local administration carried out on behalf of the King of Bosnia by a feudal lord, "Veliki Knez Bosanski", "Grand Prince of Bosnia"), and sometimes the temporary headquarters of the peripatetic court of the Bosnian kings. He accuses me of asking for the name of his anonymous source solely in order to "create problems for him;"
He accuses me of being an "armchair researcher", not working in the field – something I’ve never tried to conceal - forgetting that the burden of proof is on him. The onus is on Debertolis to prove his claims - namely, the existence of a monastery at Visocica, let alone an even older cult site - because he is "in the field," and because he claims to be presenting "archaeoacoustic" research at Visocica. Pablito : Ti faccio un esempio. Irna ha scritto un post lunghissimo vertendo quasi tutto il suo intervento sul decreto della Commissione per la Conservazione dei Monumenti della Bosnia-Erzegovina come se questo fosse una fonte primaria. Ma chiunque abbia un po’ di preparazione sa che va considerata casomai come una fonte secondaria. Oppure non cita la fonte delle sue altre notizie sul Regno di Bosnia. Irna : I don’t understand. Your message http://ostraka.forumfree.it/?t=53186252&st=225#entry537124116, to which I was answering, gave only this one source (decreto della Commissione), and I commented on the interpretation you made of this source. As far as I can see, you didn’t give your primary sources either, did you ? Pablito : Non si è posta il problema di andare a cercare le vere fonti primarie come ad esempio il libro originale di Anđelić e curiosare un po’ su cosa aveva realmente scritto nel 1984. Il mio gruppo lo ha fatto, invece, con molta fatica a procurarselo ed a tradurlo per impostare correttamente il problema. Come si fa a rispondere serenamente a tanta superficialità? Irna : I did not understand that your explanation was based on Andelic’s book, as you gave no page references, nor even the title of the book. I supposed it’s « Visoko i Okolina kroz Istoriju » ? I don’t have this book at home, but I read it some time ago, and I don’t remember him saying that the seat of the bishopric was in Visoki, nor that the Bosnian kings were coronated in the fortress. In fact, Andelic is the one who definitively identified the medieval Mile with the present Arnautovici after the excavations he made there from 1976 to 1978, and that he presented in his book « Krunidbena i grobna crkva bosanskih vladara u Milima (Arnautovićima) kod Visokog » in 1980. Mile, where was the church and Franciscan monastery Sveti Nikola, place of coronation for the kings and grave for some of them, excavated in 1909-1910 by Carl Patsch, and in 1976-1978 by Andelic. In the same Mile took place some of the « Sabors », the Bosnian medieval parliament. Podvisoki, royal court (probably in the present part of the town Visoko called « Kraljevac », that is « royal »), commercial center ; the name changed to Visoko during the Ottoman power. For a better understanding, I join the map published by Andelic in the same book. As far as I remember, in « Visoko i Okolina kroz Istoriju » his presentation of the Visoko valley in the Middle Age is not very different, and I’m not aware of a more recent publication which could have put in question this view of the Visoko valley, where the citadel on Visocica was only a part, and not the most important, of « Bosna ». Pablito : Per questo concordo pienamente con la frase di chiusura nel post di Igol riguardo il fatto che la ricerca in Bosnia è minata alle basi da questioni politico religiose. Ma direi più politiche che religiose. Pablito : Si tratta quindi di tirare le conclusioni a questa storia. Possiamo però dire che gli archeologi bosniaci non si sono comportati diversamente da Osmanagić quando si tratta di manipolare la storia. Se vi sono altri interessi politici intercorrenti è chiaro che non hanno alcun desiderio ad approfondire la presenza di un insediamento neolitico sulla cima della collina di Visoćica, nonostante i reperti ritrovati e da me segnalati (senza considerare anche la venere paleolitica, ma non trovata da me). Così non vi è neppure la possibilità di ricercare l’edificio sacro presente all’interno del comprensorio. Irna : I have to respectfully disagree with your statement that « there is an ongoing debate » about the presence of a monastery on top of the hill. As far as I know no historian ever mentioned this possibility. The most recent paper I read about this is « Franjevačka crkva i samostan sv. Nikole u srednjovjekovnim Milima » by Dejan Zadro in 2004, where he presents the state of the researches that have been made till 2004 about the Visoko valley and the location of the churches and monasteries. Absolutely no one, amongst the authors he studied, ever mentioned that. The first time I ever heard of that idea was from you, and as you cannot or will not give your source, I think that we can agree that there is no real debate. Pablito : Quindi non dichiaro perentoriamente che in cima alla collina c’era un centro spirituale, ma pongo il sospetto. Ciò spiega perché sono andato a cercarci quelle caratteristiche di archeoacustica ambientale che ho trovato in altre sedi, dove un insediamento cristiano era stato costruito sopra una zona sacra molto più antica. Punto. A questo punto credo di averti risposto Leda, ossia che possiamo ammettere l’archeologicità della cima della collina di Visoćica che sicuramente è stata più volte rimodellata anche in tempi molto antichi (castelliere). Questo posso dirti per quanto riguarda la cosiddetta Piramide del Sole e non altro. [Pablito : So I am not categorically stating that, at the summit of the hill, there was a religious centre, but I hint at the possibility. This explains why I went there to look for the archaeoacoustical features in the environment that I found in other places, the site where a Christian settlement had been built over a much older sacred area. Period. Irna : Well, if by « a hill remodelled by man in the shape of a pyramid » you meant only the local defensive arrangements that took place for the necessities of the fortification, I think we can – finally ! - agree on this ! Pablito : Certo rimane la bocca amara di aver dovuto abbandonare la Bosnia senza aver risolto nessun mistero, bloccato da una parte da Osmanagić nello scavo della struttura che avevamo trovato con il georadar, sia bloccati dalle istituzioni bosniache nella nostra ricerca antropologica-archeologica sugli stekać (sic) e sugli antichi insediamenti nella Valle di Visoko, ma non è più un problema mio, ma casomai della Bosnia. 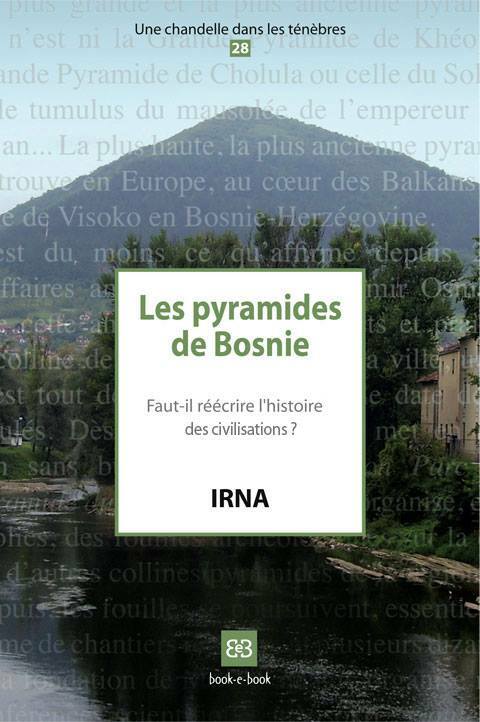 Irna : It seems that one of your fellow countrymen, the young Riccardo Brett, former archaeologist of the Foundation, had better luck with the valley of Visoko and the Bosnian institutions : http://archaetypes.jimdo.com/projects/the-valley-of-visoko/ ; he is planning, in collaboration with several Bosnian and European institutions, a summer campaign of excavations and archaeological survey in the valley. With a bit of luck – and a lot of work – he may be able to shed some light in a few months on the question we just discussed of the medieval settlement of the valley. 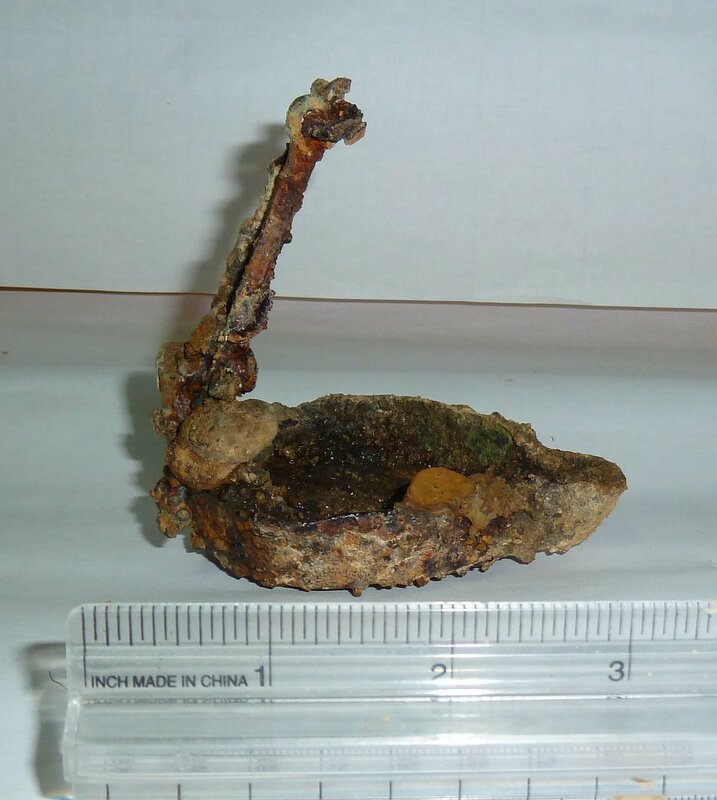 Curiously, this post has disappeared from the Ostraka forum, along with another post where I mentioned, without comment, the publication of a paper by Andrew Lawler on the state of archeology in Bosnia. It seems that Professor Debertolis had made complaints about my criticisms; I was reproved (it) by the forum moderators for having called Debertolis a "quack" and a "charlatan", or conducting a "personal controversy." As anyone can verify, I have never used the words "quack" or "charlatan" about Debertolis, not on Ostraka, nor on any other forum. As for controversies, they certainly exist, and probably I have not been kind to Professor Debertolis, but there was nothing "personal" about it. Since when is it considered a personal attack to request sources, arguments and evidence for what are supposed to be scientific claims? It seems that, as I said in my last post on Ostraka, in which I explained that I would not be posting there in future, the "moderation" on that forum is rather one-sided. Asking "Pablito" for a source, or correcting his distorted quotes, is a personal attack. But he, on the other hand, is allowed to call me (it) "una famosa ex personalità politica di una certa comunità etnica di Bosnia che a suo tempo ha avuto la peggio e che per tale motivo ha dovuto abbandonare Sarajevo per poi rifugiarsi in Francia" (("a well known former political personage, from a certain ethnic community of Bosnia, who was involved in some horrific events, and, for that reason, had to leave Sarajevo and take refuge in France": in other words a Serbian war criminal ...); or to accuse (it) Bosnian archaeologists of committing fraud, without incurring any comment from the moderators. I do not know if Debertolis’ status as a university professor has paralysed the moderation team; but the mere fact of being a university academic, most likely respected in his field of expertise, should not shield him from criticism and questions when he ventures, as he has been doing for the past three years, out of his own field, or when he claims to be engaged in scientific work whilst refusing to comply with the basic rules of science. The reports that Professor Debertolis kindly sent to me have never been published, but are on the SBRG site, although on a part not accessible by the public. One can still find quotes in some places, particularly here (it) - Section 7, "Pyramids" (English version here) concerning the megaliths in the tunnel. Following the criticism I made of these articles, they mysteriously disappeared from Professor Debertolis’ site. This is absolutely absurd. 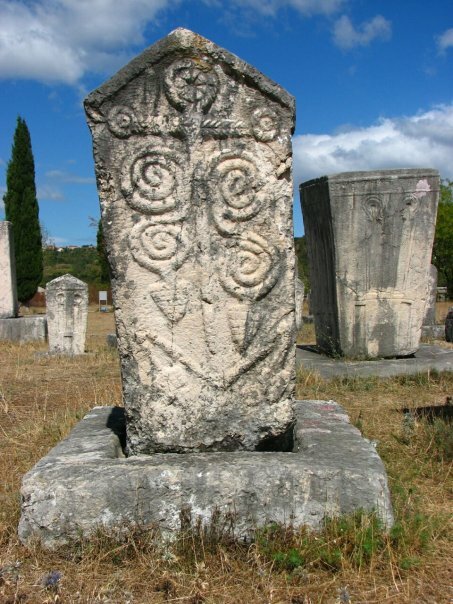 As I have shown in this article, Bosnian archaeologists and historians have long since abandoned the idea of ​​stecci being tied to a single religion, and have proven that stecci were in use by both Christians and Muslims until a later period. But the fact that he has never openly published Dr. Nunzia Croce’s geological reports probably indicates a desire not to burn bridges with the Foundation, the entity in sole charge of "excavation" in Visoko, which regularly gives him a platform.